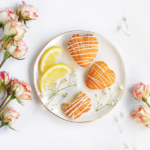 Have you heard of madeleines? 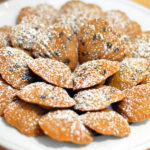 As I’ve been telling people about these madeleines this week, I haven’t come across many people who have heard of them. Which I guess isn’t super surprising as the only place I’ve ever really seen them is at the register at Starbucks. In case you don’t know, madeleines are little French tea cakes that are baked in madeleine pans, which have shell-shaped cavities. So, the end result are tiny, little cakes shaped like sea shells. Too cute! These madeleines just make me smile. 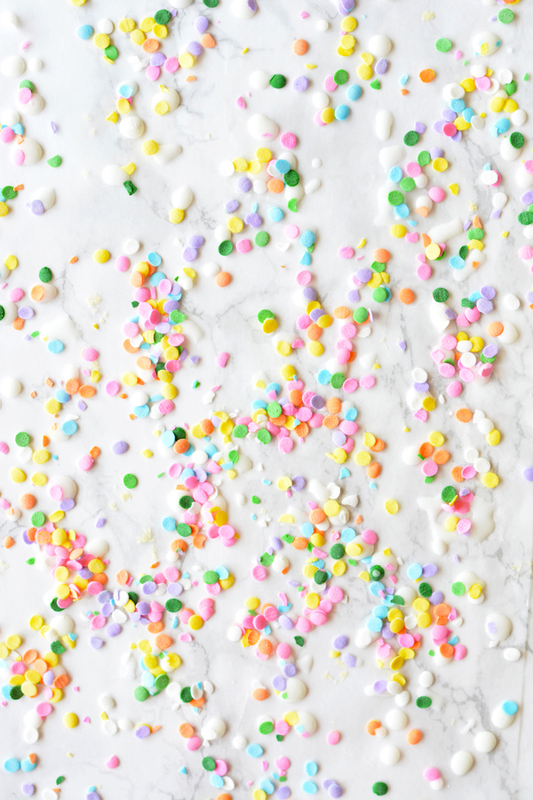 They’re tiny little cakes, and, clearly, my sprinkle-obsessed self is happy. These totally remind me of spring too, which HOPEFULLY is coming soon. 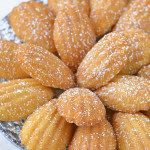 I think madeleines would be so perfect for bridal showers, weddings, baby showers, fancy parties, and all that. You’ll definitely be seeing more of them here on the blog! An easy funfetti version of madeleines, a soft and sweet French tea cake. Preheat oven to 350 and spray two or three madeleine pans with non-stick spray. Heat butter in a microwave safe bowl or measuring cup in 30 second intervals until melted. Set aside to cool. In one bowl, combine flour and baking soda, and whisk together. In another bowl, combine sugar, eggs, vanilla extract, and butter flavoring. Using a hand-held electric mixer, mix on medium-low speed until combined. Next, add the flour and mix until mostly combined. Then add in the cooled, melted butter and mix well. Fold in rainbow jimmies. Add a heaping tablespoon of batter to each well in the madeleine pans. I used a regular cookie/cake batter scoop and just filled it halfway full. Bake for 8-10 minutes, or until golden brown. Let the madeleines cool a bit before drizzling with glaze. Combine all ingredients in a bowl and whisk until smooth. 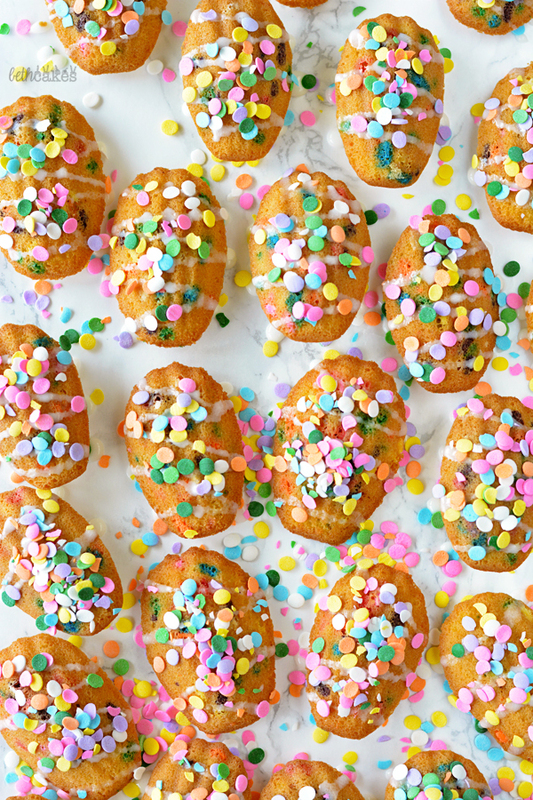 Drizzle madeleines with glaze and add sprinkles! I have a madeleine pan and it just collects dust. So sad. 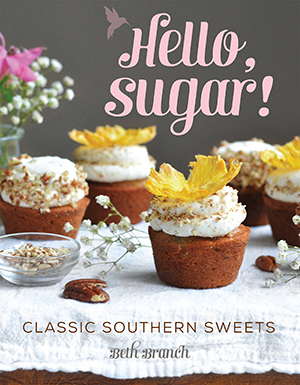 I think I’m going to bust it out and make these. They are too fun! I loooove madelines! 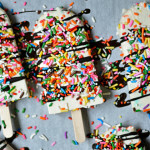 They’re so cute and fun, and I love all the sprinkles you added. I actually found my madeline pan that I hadn’t used in agesss when I was home over break and brought it back up to school with me, so I need to try making them again. Pinned! 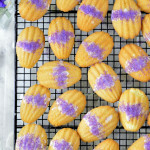 I don’t know what is more stunning – these madeleines or the photos of them! Beth, I love these! My mom and I love to make madeleines together on rainy afternoons. 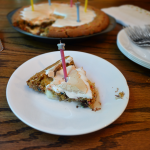 She makes a version with orange and lemon zests that is to die for. These totally look like little Easter eggs and I love them! So very very cute. I love anything funfetti so I will have to give these a go. I’ve only had madeleines once but I really enjoyed them! I need to get myself a madeleine pan so I can just make them myself! These are just so fun! I’ve heard of em but I have to admit, I’ve never tried baking or eating madeleines. 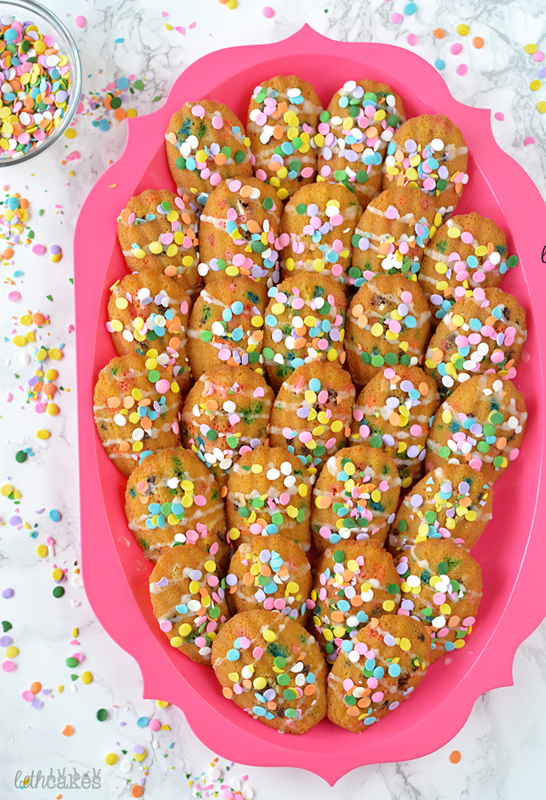 They’re absolutely darling, especially with those sprinkles! Fantastic job Beth, I’m hooked! 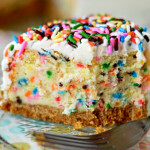 Love funfetti! And my madeleine pan is poorly underused. Problem solved. I have heard of them, but have yet to try them. These are so cute!